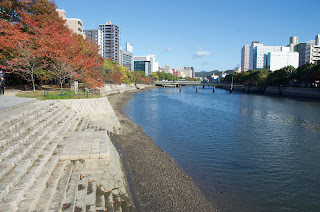 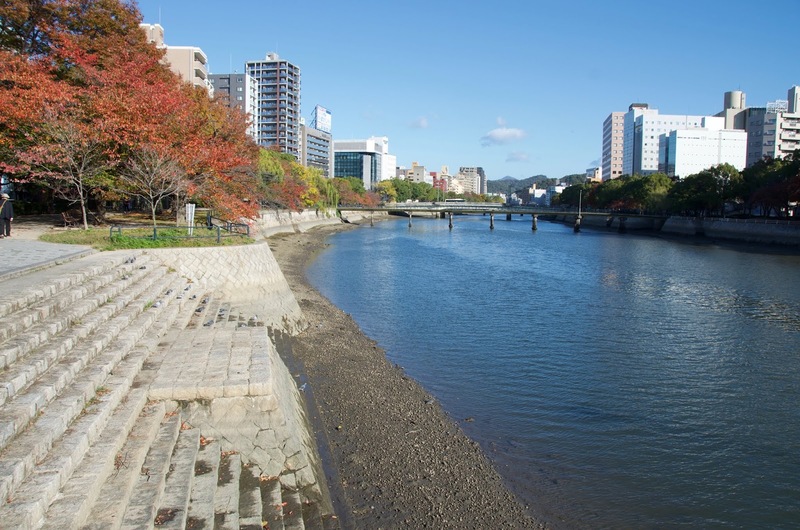 I traveled back from Kochi and the Shimanto River to Hiroshima. 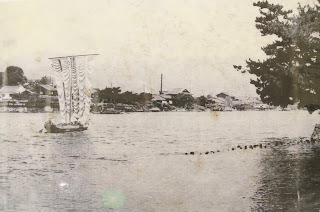 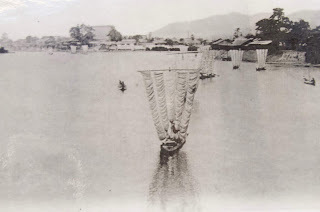 I am due to meet a researcher tomorrow and interview a cormorant fishing boat builder in Iwakuni. 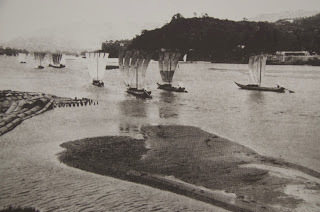 Today was basically a day off but a couple of boats came my way regardless. 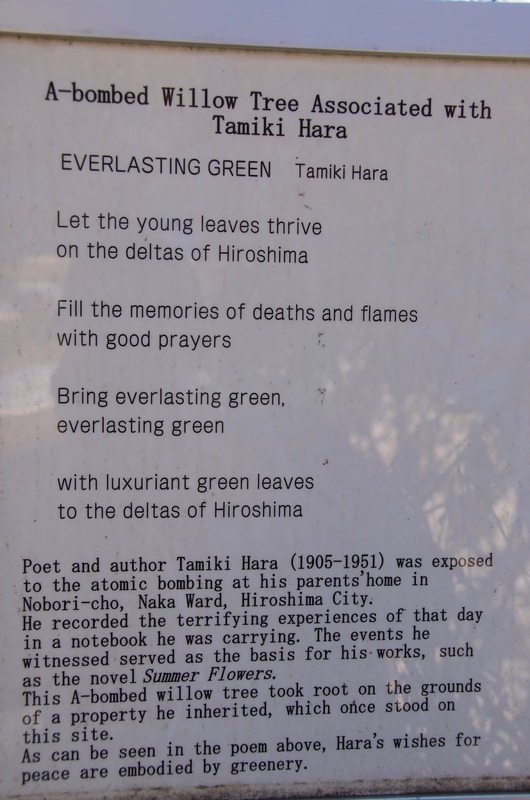 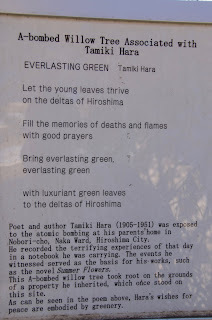 Hiroshima is obviously most famous for the Atom Bomb Dome and museum. 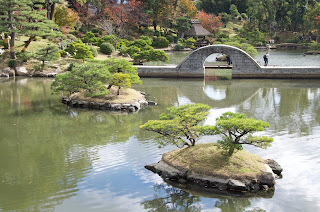 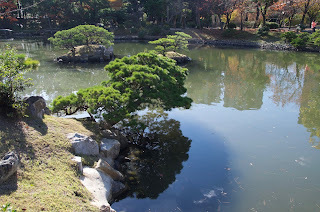 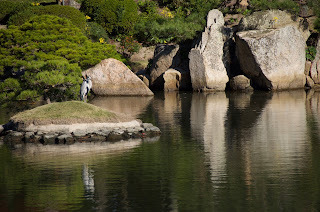 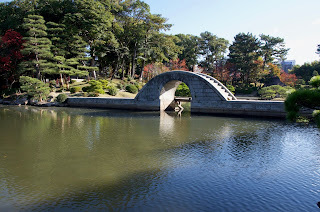 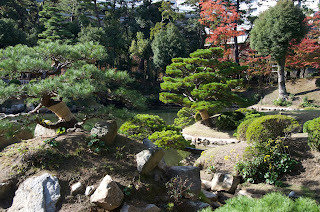 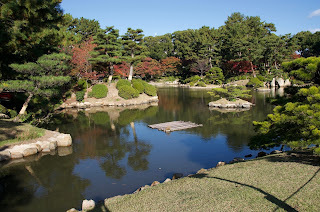 I blogged about the Peace Park after visiting here last August. 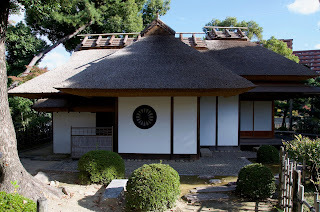 Today I decided to see some different sites and settled on Shukkeien, a traditional garden built starting in 1620, and a small history and folklore museum. 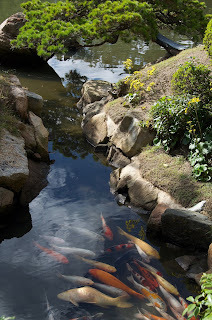 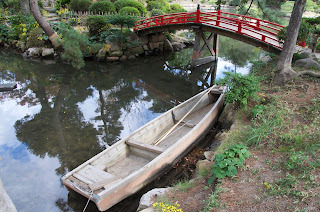 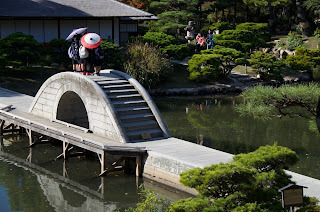 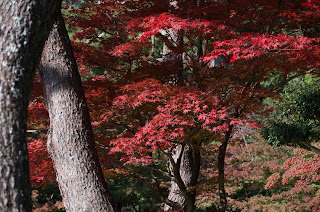 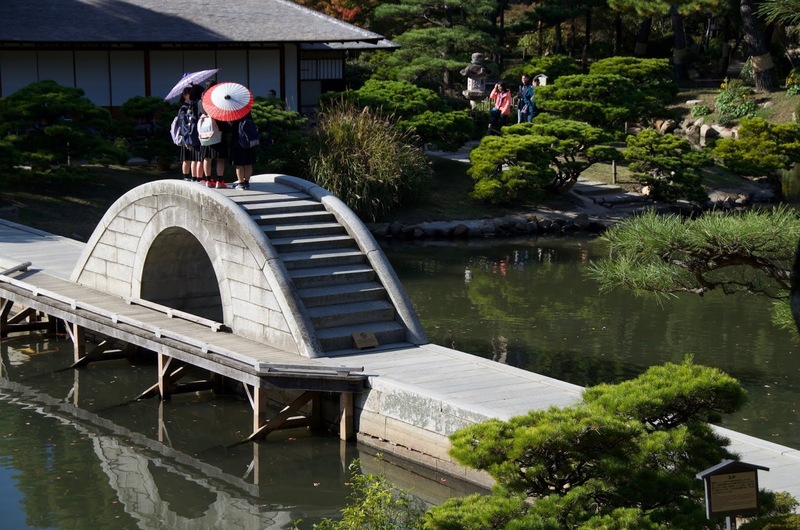 Hisroshima is really a lovely city, with several rivers flowing out of the mountains and through the city center. 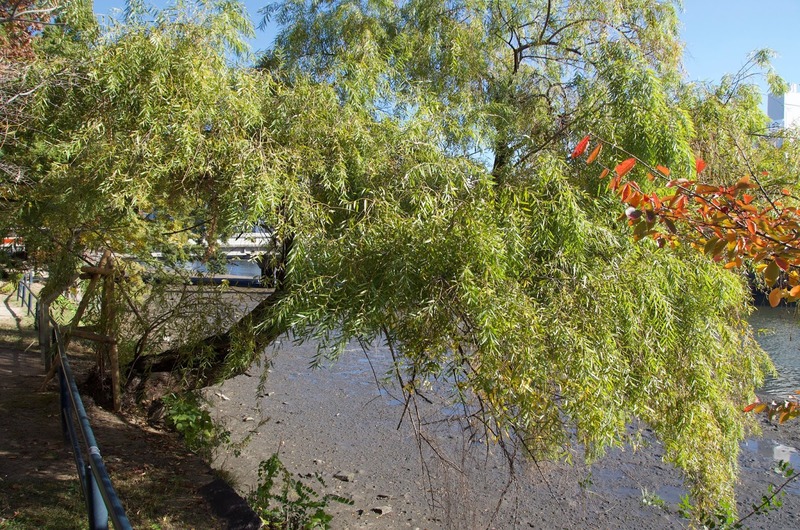 Almost all the river banks are green spaces, which makes for very pleasant walking. 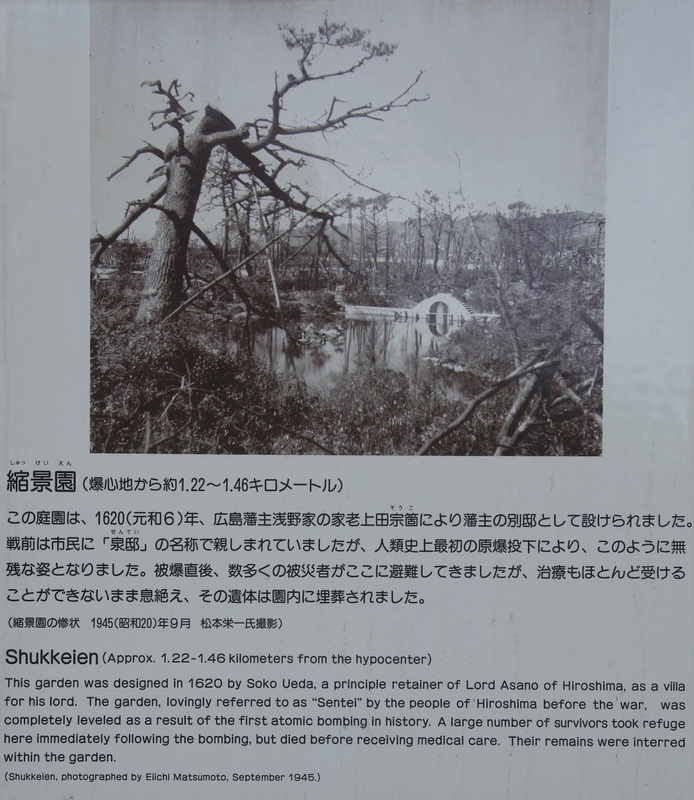 This willow had a sign indicating it had survived the atomic bombing. 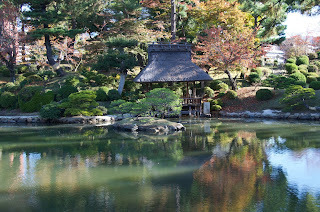 I got to the garden early and had it almost to myself at the outset. 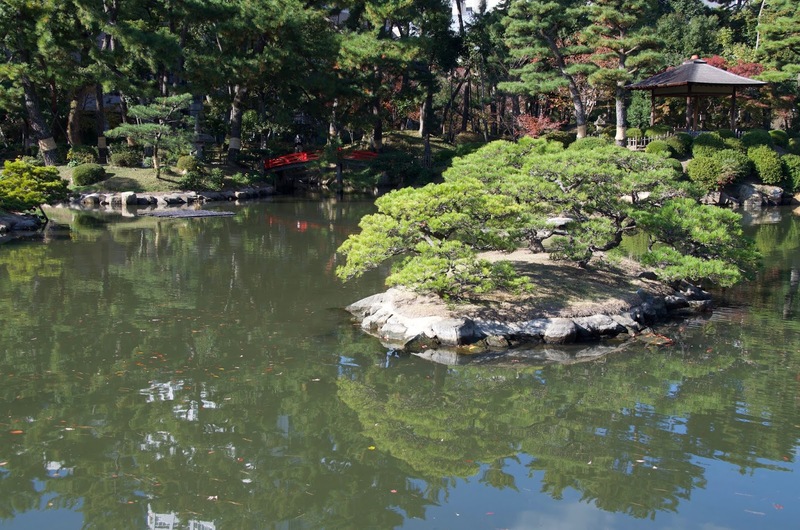 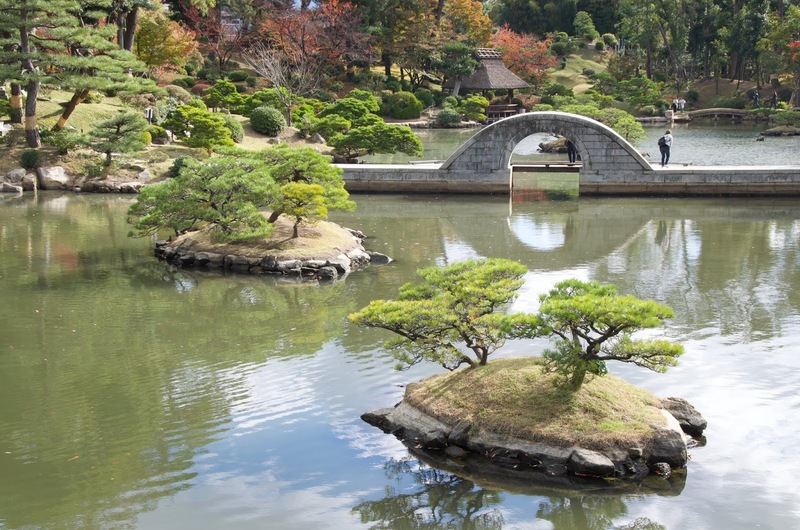 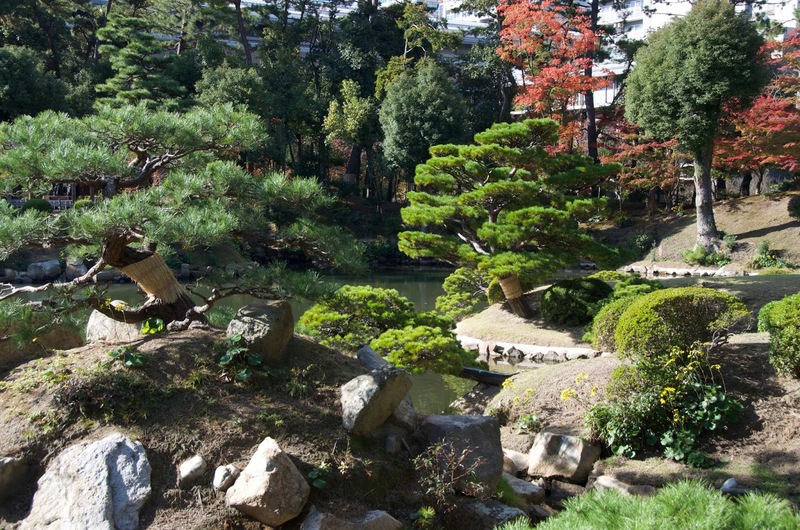 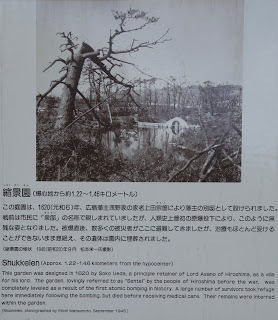 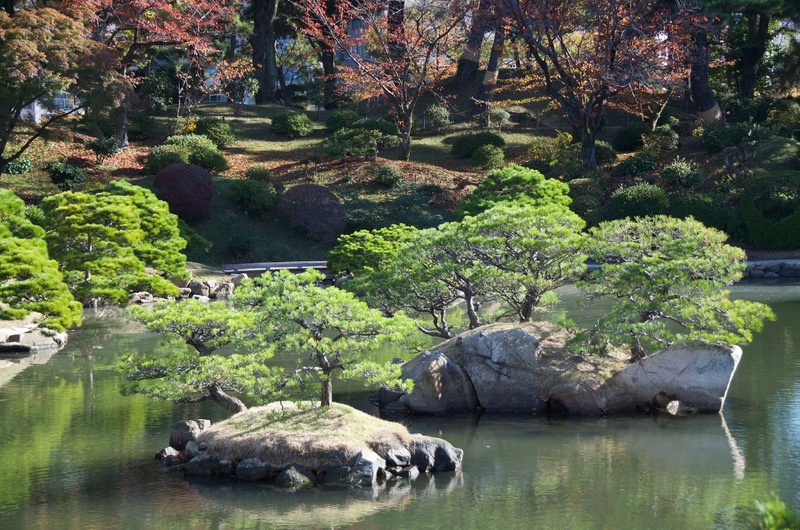 The Peace Park is the major magnet for tourists to Hiroshima, though the pamphlet said this garden has 250,000 visitors a year. The pamphlet didn't say when this granite bridge, meant to evoke a rainbow, was built, but it said it was remodeled in the 18th Century. 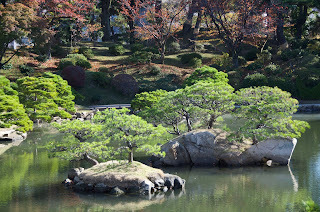 Fourteen small islands dot the pond. 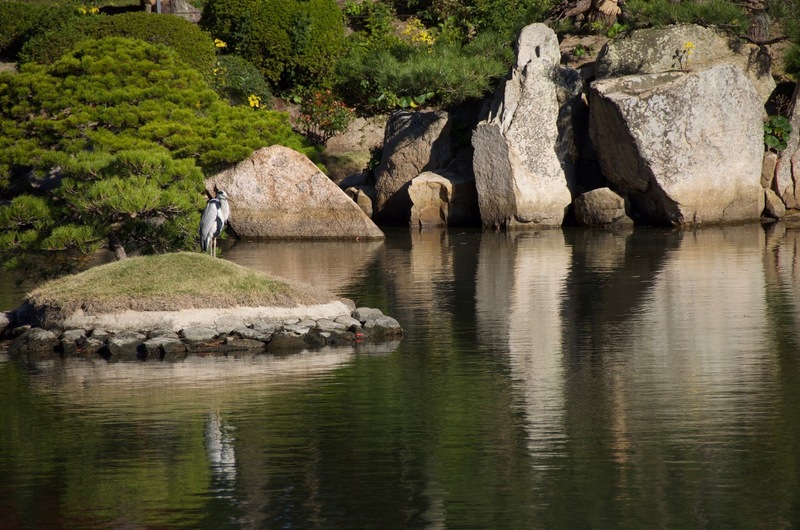 Their shapes are meant to evoke cranes and tortoises, symbols of longevity. 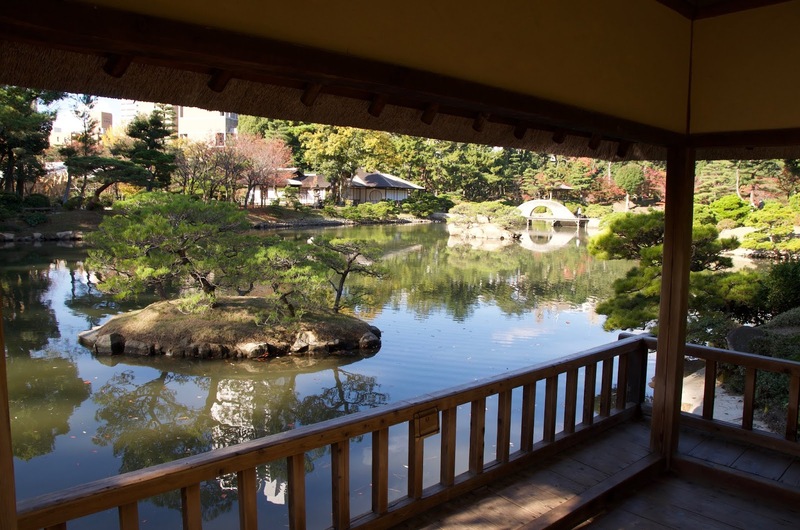 One of three teahouses in the garden. 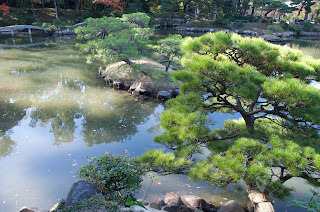 The garden's pond is fed by the nearby river, which is a tidal stream and therefore slightly brackish. 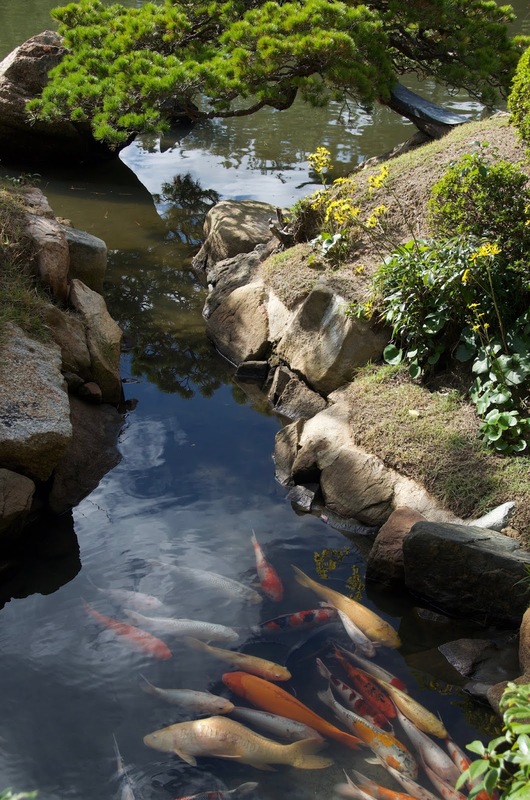 The carp thrive as well as some species of sea fish. And a traditional boat! 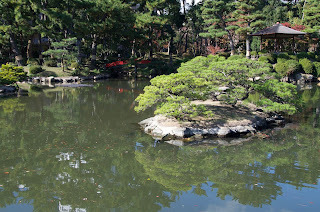 Staff told me the gardeners use it to get to the islands. 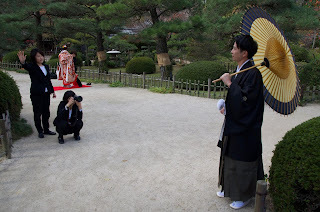 A couple dressed in kimono here for wedding photos. 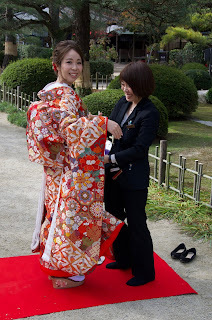 The bride-to-be had someone to take care of adjusting the kimono. They aren't getting married until next April but they wanted fall photos. 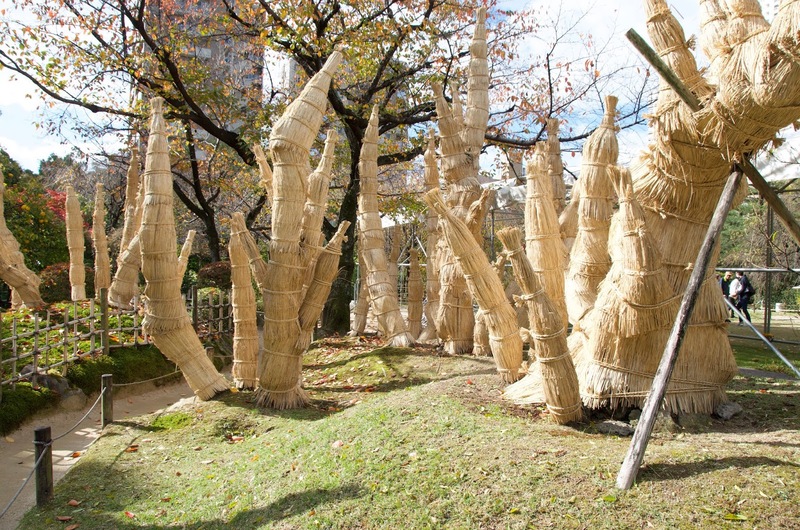 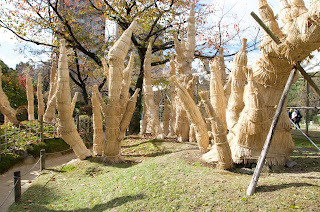 A species of tree not resistant to cold gets wrapped in rice straw for the winter. 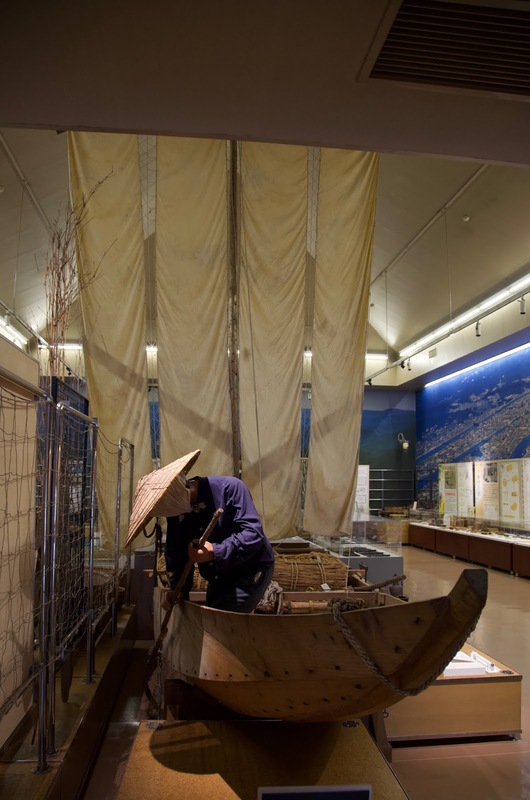 The museum had a great exhibit on traditional river cargo boats of Hiroshima. The classic Japanese sail consists of vertical panels loosely woven so they can open and spill high winds. 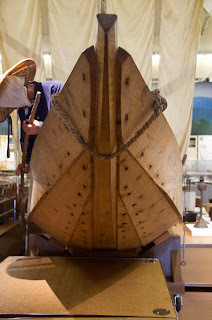 A form of self-reefing. I was told this replica was half scale.